Don't get a ticket for a broken tail light. Replace it with a new tail lamp assembly from JustforJeeps.com. This Mopar part fits 2007 to 2010 Jeep Grand Cherokees. 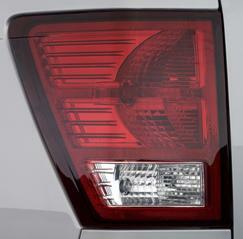 Order either the left side (#55079013AC) or right side (#55079012AC) tail lamp assembly individually as needed. JustforJeeps.com stocks the Jeep parts you need to keep your Jeep looking as good as new.